Part of the ‘Antique Fabrics’ series, this fabric isn’t necessarily extinct, but it was more popular in the past than the present. A heavy crepe fabric, with a more prominent texture than average. The fabric features distinctly wavy ridges along the warp. I’ve seen it referred to a lot in my 19th century catalog reproductions, for dresses and skirts. You can still find it today, usually made from polyester and viscose (rayon) and lighter in weight. 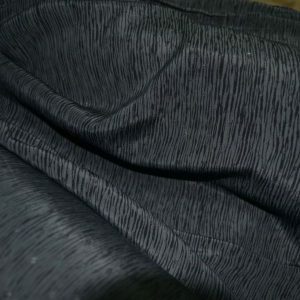 I’ve seen the term crepon applied a bit willy-nilly to anything with a bumpy texture – from sheers to heavyweights – so, as ever, swatching is key.